My last trip was to Prague which was a personal vacation with my daughter and niece, also known as double trouble! 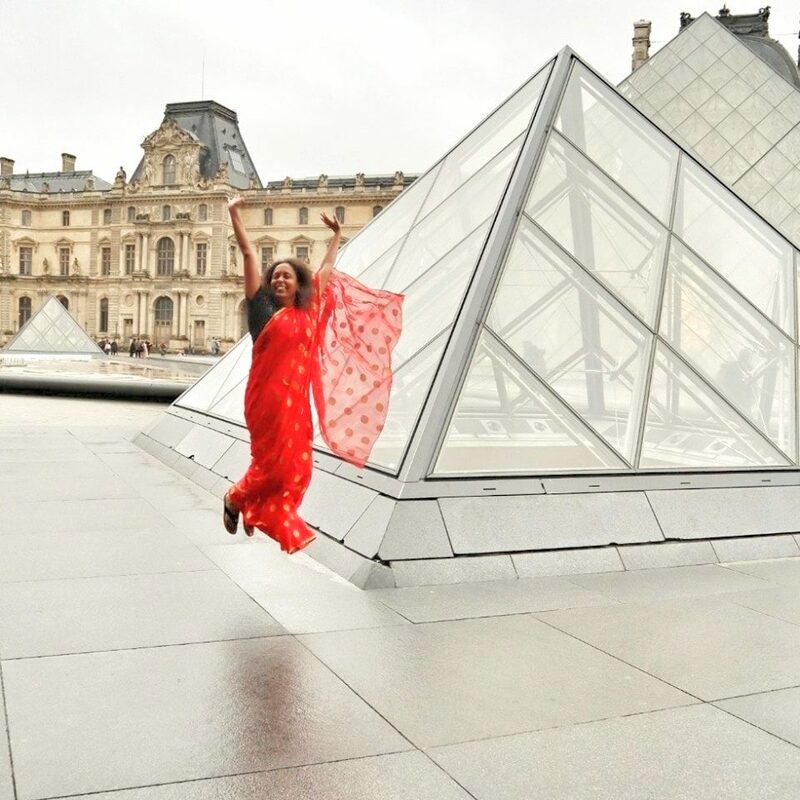 My visa experience was really tough and I was highly skeptical about my choice of vacation. But I have to say the city treated me and the kids with much kindness and I am keen to go back again! Prague is the place where I fell in love with trams! A lot of travel has been happening this year which makes me happy, But a lot less blogging has happened which makes me sad. I was actually blogging more regularly when I used to work full time as then my leaves were limited and I always found time for blogging when I was home! I have to learn to find the balance. But this post is about trams in Prague, so I move on! There are many things in the beautiful city of Prague that you could fall in love with, but I fell for the red trams! I am a metro (underground) person actually but Prague has both, metros and trams. And trams won on this trip. I stayed in what is known as Praha 1. It is the historical region in Prague with many attractions like the Charles Bride, Astronomical Clock, the Prague Castle, etc. 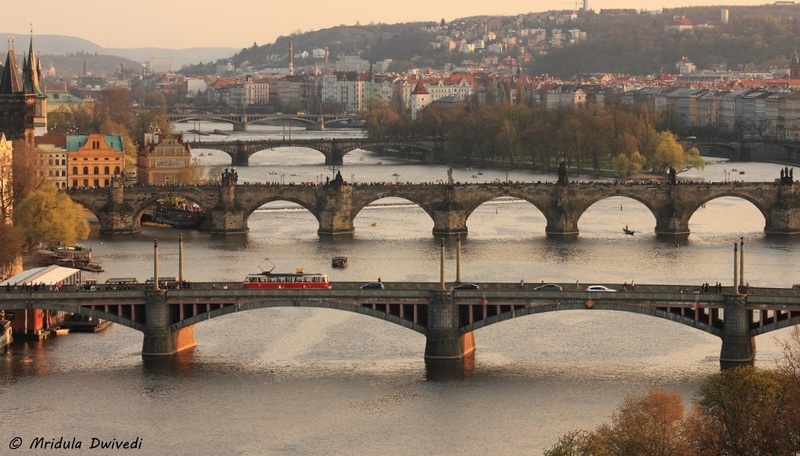 The tram stop and the metro station of Namesti Republiky were a few minutes walk from our hotel, Astoria Prague. Actually one of the first things I did was to get a data card so that I could use Google Maps to get around the city. Vodafone gave me a good deal, I had 1.5 GB data for 400 koruna and it was more than enough was 4 days! In the hotel I was using the WiFi. 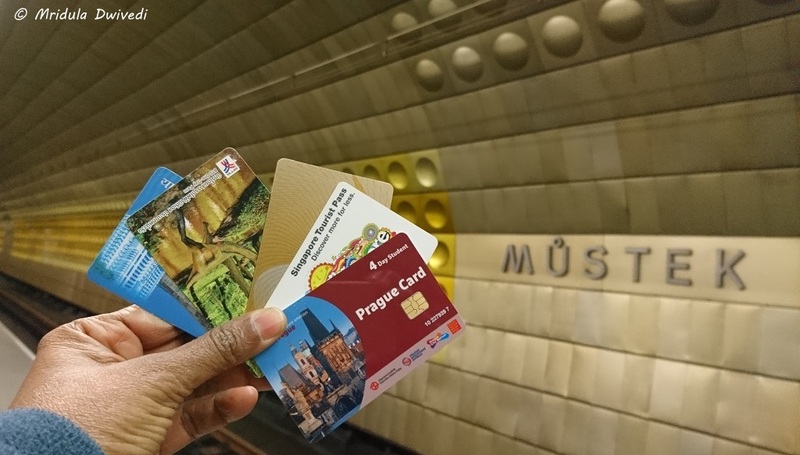 If you buy a Prague Card you can use all public transport till your card is valid. Armed with the Prague Card and Google Maps I was ready to explore the city! I now have Delhi Metro, Bangkok MRT, Dubai Metro, Singapore MRT and Prague Card in my collection. On our first venture we took the metro! The underground is really deep and the girls were giggling nervously on the escalators. There were a lot of runners out in the city that day as a half marathon was happening! I asked one of them about directions. He mentioned that I could have taken the tram too. We eventually reached the Charles Bridge (Pražský Most) using the underground but after that we always took the tram. View from the Lenta Park, Prague! Tram 15 was our best friend which took us to Staromestska Republiky and to Cechuv Most, two of our favorite places. Staromestska Republiky was close to the Charles Bridge where we used to hang out a lot. And Cehuv Most was just a hop away from Lenta Park (Letenské Sady) which gives a fantastic view of the city. The girls loved the park! We occasionally took Trams 22 and 23 too. 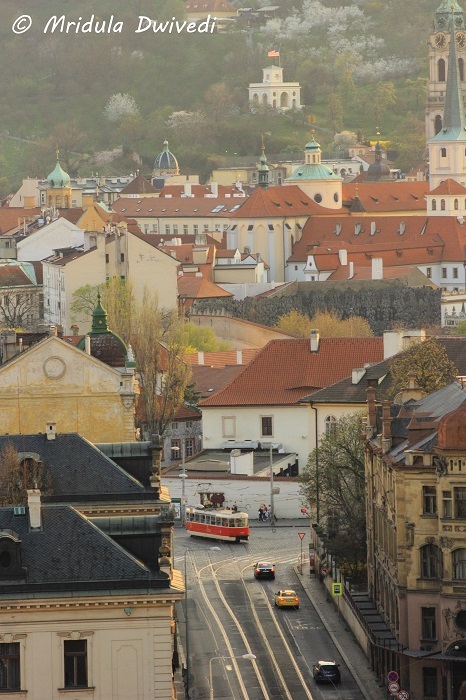 Prague- Where I Fell in Love with Trams! The sight of the red tram chugging along the scenic routes was a pleasure in itself. What added to the charm was the honor system. There is no ticket checking on the public transport. You are supposed to buy a ticket. I read that there could be inspections but I never saw one in all of my five days! So after my trip to Prague I have added trams to my list of favorites along with the metro rides! I didn’t even know Chandni Chowk had trams! Yes there would be crowd but still it would be quite an experience! Prague was lovely, only the visa experience was tough. Do go you will love it. Also combine Budapest with it, I could not as I was with two kids. Only one occasion the tram was really crowded, other than that it used to be a joy ride! Thank you so much Rupam! Have a great weekend. Collecting cards is fun! I agree trams are fun but I still love metros too! It gives me the freedom to move without costing a bomb! Yes, there is an old world charm in the pic- Trams and all! Such a lovely city. Beautiful trams. Beautiful! I wish we had this kind of public transport in India. Kolkata does have trams but I think they need more modern versions as well. Yes it would be lovely to see trams in India too! Took me back to my trip to Praha! And it is such a beautiful place too!